Dr. Sparano uses only FDA-cleared injectable soft tissue fillers to restore facial volume and fill out wrinkles, facial depressions, or facial asymmetries for a refreshed and healthy appearance. 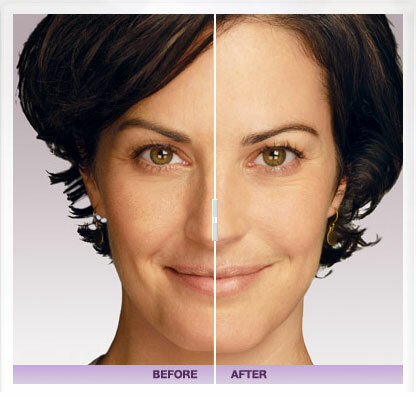 The type of injectable used and technique selected is customized for each patient. Dr. Sparano performs all injections himself. Soft tissue facial fillers offer a powerful and impressive method of delivering beautiful results without the downtime associated with surgery. With few exceptions, Dr. Sparano prefers the use of Juvederm™ Ultra and Juvederm™ Ultra Plus over that of Restylane and Perlane. These 4 fillers are made of hyaluronic acid, which are natural substances found within our own human body. Since they are not derived from human or animal tissue, there is no risk for infectious transmission. These substances work by adding volume to tissues and then by attracting water. The results are very natural and long-lasting. Dr. Sparano believes Juvederm™ Ultra and Juvederm™ Ultra Plus yield smoother and better-blended results than that of some of the older hyaluronic acid products. The results after injection with Juvederm™ Ultra and Juvederm™ Ultra Plus are evident immediately and typically last between 6-9 months. These fillers are most often used to fill the deep folds between the nose and the lips (nasolabial folds), the "marionette lines" of the mouth, any deep furrows or wrinkles of the face, the fine wrinkles around the lips, the tear-trough grooves near the eyes, and the grooves along the jawline adjacent to the jowls (prejowl sulcus). They are also used to augment and sculpt the lips. Injections are performed in Dr. Sparano's procedure room and typically take 15-45 minutes. Side effects are usually minimal and may consist of temporary swelling or bruising.